I’ve loved pesto since the first time I tasted it. As the years have gone by I’ve made quite a few versions of my own. I’ve made traditional pesto. I’ve made red pepper and sun-dried tomato pesto. And I’ve made very simple pesto. I’ve added new ingredients. I’ve taken things out when I had various dietary restrictions. And I finally settled on my base pesto recipe that only takes about 2 minutes to make. I’ve removed the allergens (dairy and nuts) as well so just about anybody can eat it. Pesto is so versatile. You can use whatever greens you have fresh or frozen. And you can use it in so many dishes. Here are a few ways to use pesto. Pizza sauce – Replace your usual tomato sauce with pesto and top with chicken and vegetables. With all the flavor from the pesto you can even skip the cheese and make a delicious dairy free pizza. Salad dressing – Store-bought dressings are almost always made with unhealthy vegetable oils. Whip up a batch of pesto and you’ve got easy, flavorful dressing on hand for the whole week. Rice – Rice can get pretty boring. Liven it up with a few spoonfuls of pesto. Add a little parmesan cheese and cooked chicken and you’ve got a whole meal! Vegetable topping – Mix pesto into a bowl of roasted vegetables or pureed squash or pumpkin. Quiche – Spread a layer of pesto on a pie crust. Top it with a mixture of eggs, milk and cheese and bake. Snack – Need a quick bite of something healthy in-between meals? Try a spoon or two of pesto. You’ll get easy to digest nutrients and healthy fat. Bread – Make your favorite yeast bread dough. Roll it out. Spread pesto on top. Roll the dough into a loaf and bake. You’ll have a homemade bread with pesto swirled throughout. Pasta – Cook some pasta, drain most of the liquid, stir in pesto. Top it with cheese and/or add cooked chicken or bacon if desired. Or mix the pesto into your favorite alfredo sauce to make pesto-fredo pasta. Panini – Use pesto as the dressing on a Panini. Soup – Mix pesto into a bowl of homemade chicken noodle soup, squash soup or white chili. It’s a great twist on your favorite soups. Dip – Dip raw vegetables into plain pesto. Or you can mix pesto with hummus to make a “pummus” dip. Do you like pesto? What is your favorite way to use it? Blend greens, ½ cup olive oil, salt and garlic powder in a blender or food processor until smooth. Add extra olive oil or water to reach desired consistency. Mary Voogt is a follower of Christ, a wife, and a mother of two. After 6 years as an electrical engineer she now stays home full time. She is passionate about real food and enjoys spending lots of time in the kitchen cooking and baking from scratch. She blogs at Homemade Dutch Apple Pie on a variety of topics including digestive issues, OCD, anxiety, infertility, natural parenting and healthy food. If you’re anything like me, by the time February draws to a close you are so ready for spring! But most of the time it still seems so far away. The ground is likely covered with snow. Everything is wet and sloppy. The sun likes to hide. You’re still eating lots of winter comfort foods and living off your freezer stock from last year. As March approaches I’m anxious for fresh foods. While they aren’t quite available yet, it’s time to start thinking about them. Now is the perfect time to plan how you want to stock your pantry and freezer during the spring, summer and fall. Doing so can save you money and keep your family well fed. Maybe you already have a good inventory of what you preserved last year. That is a great start. Even if you don’t you can still start planning for the coming produce season now. Here are general guidelines of when some produce is available in the area and some ideas of ways to preserve it. Make a list of the ones you want, find recipes, put the plans in your calendar so you know when you’ll have to do it and stock up on all of your supplies. When spring does finally decide to show up you’ll be ready to stock your pantry for a full year of healthy food. makes 4 1/2 – 5 1/2 pts. Cook apples with water until soft (5-10 min.). Press through sieve or food mill on the finest setting. Add the cider and sugar. Bring to a boil. Cook on low until thick (about 3 hours). Add spices. Process 10 minutes in boiling water bath. The Spring of 2012 made history here in West Michigan. We had five days in March with temperatures reaching 80 degrees or higher. While many of us didn’t complain and enjoyed the brief heat wave by getting a head start on the yard work, this type of weather was bad news for many farmers whose apple, cherry, peach trees began to blossom far too early. Typically, fruit trees in Michigan don’t blossom until early May. The warm March weather followed by a cold, frost-filled Spring resulted in the largest fruit crop loss since 1947 – from SouthWest Michigan all the way to Traverse City. Fall is now upon us now and some of the most popular seasonal crops are in short supply. Many orchards are shipping in produce across the United States to make up for the loss, while others are picking what is left in their orchards and selling them as ‘pre-picked’. Apples, cherries, peaches and pears were perhaps the hardest hit, but that doesn’t mean you won’t be able to enjoy them. There are still plenty of local farms and orchards with late-blossoming varieties hoping you’ll stop by this year to taste their Fall flavors. Believe it or not, Michigan is the third-largest apple producer in the U.S. after New York and Washington. Most of those are grown right here in West Michigan and are a local symbol that Fall has arrived. The Michigan apple crop loss this season is expected to have a 110 million dollar impact, but it’s not all bad news. Many Macintosh, Gala, and HoneyCrisp trees survived the frost and are still producing fruit this year at many local orchards. These neighborhood farms would love to sell you pre-picked apples. Bright orange pumpkins are perhaps the most visible symbol of Fall-time festivities. Pick up a small pumpkin for baking and use the larger varieties to welcome Halloween guests to your porch. Pumpkins and other winter squashes are plentiful and currently in season, so find a local patch and pick a few. Keep in mind pumpkins are considered a super food rich in carotenes that covert to vitamin A inside the body. Apples may be the quintessential autumn fruit, but pears can be just as delicious. Pears ripen in throughout September and can help turn ordinary dishes into extraordinary ones. The bell-shaped fruit is a more delicate traveler, but don’t let that stop you from picking some up from your local fruit farmer. The most popular variety, Bartlett pears, were hardest hit this Spring, others like Bosc are beginning to ripen and available from these two local orchards. Most people think of raspberries as a summer-time treat, but everbearing types produce until the first frost. Why not visit a U-pick patch to stock up on raspberries and freeze them for the winter months? Take some time in the next month to experience West Michigan by supporting our local farms and orchards. Remember to always call ahead of time for hours and to get a an update on what’s currently available. Many of the orchards listed above also have family activities like hay rides and corn mazes. Even if you end up bringing home less fruit this season, take the time to enjoy the fresh air and wonderful Fall flavors. Boy, have I gotten myself in over my head! It’s normal for me to do a ton of canning and this year is no exception. However, I took a bunch of leftover produce from a local farmer’s CSA to preserve, and as a part of those leftovers I got approximately 50 pounds of jalapeños! I don’t even like jalapenos and now I am spending HOURS canning and preserving them. I was very nervous as to what I was going to with them all, but thanks to some friends and Google I came up with a bunch of ideas! My first task was Cowboy Candy, which a friend suggested. I thought it would make great gifts for some of my family members who love hot foods, and I am anxious to see how they turn out. I’ve been told it is best to wait two weeks to try it, so we shall see what my family thinks. My second recipe was Hot Pepper Jam which I found the idea for online and the directions were right in the package of jam pectin I purchased. (I had a couple different brands and both of them had recipes) I did taste this and it was really good! My husband reminded me that back when we were dating (before I went dairy free) we purchased hot pepper jam at the store and mixed it with cream cheese to make a dip for our crackers. It was SO yummy! I have other plans for the other half of my jalapenos, which include drying and grinding some into powder and pickling some of the others. I have had so much fun learning new recipes, trying new foods, and filling up my pantry with lots of goodies for the winter! What are you currently preserving? 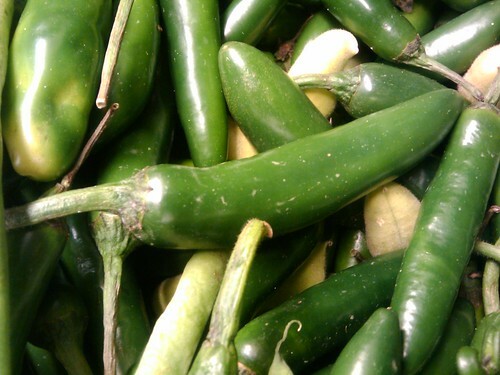 And what have you done with a multitude of jalapenos? One month after my first garden update, my plants have grown beyond recognition. Instead of neat little rows, they’ve begun climbing where they will, spreading out and producing a beautiful bounty. I left a volunteer tomato plant in the middle of my garden. It sat beautifully between my cucumber trellis and the cabbage plants and dill. Except now it’s overtaking the all. Among my broccoli (which got huge by the way) and trellised cucumbers and tomatoes are a few basil plants, though it takes some doing just to find them. Speaking of trellised cucumbers, I very much like growing them up our garden fence. It’s much easier to find and harvest the cukes when I can easily see them from both sides. next year I plan on doing much more of this instead of using the trellis we built. (above picture) The fence is sturdy enough when tied to the stakes, and the ‘weave’ of the fence is also large enough to allow me to pull them out from either side. Thinking about it, we should have used this fencing instead of chicken wire for our foldable trellis. We also have a few melons coming along quite nicely, though only one small pumpkin showed up. I’m quite bummed that powdery mildew took out all but one pumpkin plant and has hit my my squash as well. The zucchini plants were sacrificed since they are so close to the cucumbers and well…..we like pickles more than we like zucchini. The mildew is making a move on my cucumbers, but so far I’m keeping it at bay by pulling diseased leaves and spraying with milk every few days. I’m pretty sure it came from my one nursery purchased pumpkin, as that one got it first and it took off like wildfire. Next year I also need to make sure I plant my vine plants a bit further apart to keep this from happening. We also started to battle the Japanese beetles, they were destroying my green bean plants even with my go-to natural bug repellant on them. Once I finally found an adult bug on them and figured out what was going on, we purchased those bug bags right away! My other garden nemesis showed up in full force as well a couple of weeks ago – the tomato hornworm. Within a week I had quite a few plants that had areas stripped bare and I couldn’t find the worms! Finally, I noticed that if I went out right away in the morning, they’d still be out eating. (they must head to the inside of the plant during the day…..?) So each morning for a few days my chickens got a breakfast of two to three very large and very gross looking tomato hornworms. All in all, I’m very hopeful for a good harvest this year, though I am worried that if we get too much rain, after having so little, that my tomatoes will start bursting as they ripen……. How are your gardens coming along? Any major setbacks or accomplishments? A couple of years ago, just as I was weeding the garden, I noticed the leaves of the green bean plants had small holes in them. Figuring it was some sort of bug, and hoping they would just go away, I left them be. Then I started to harvest my beans, and they had holes in them too. And one happened to have a little green worm sticking right out of the center of one of my beans! I didn’t know exactly what they are (still don’t), but I do know I want them off my plants. I also want to keep chemicals out of my garden so I can keep our produce as healthy as possible. After some searching, I found a recipe online (pre-Pinterest days) and thought I’d give it a try. 1. Put all ingredients into a pot on the stove and simmer for about 30 minutes, or until you have just a quart of liquid left. 2. Strain into a jar or other storage device using cheesecloth or other thin material. 3. To use, take about 1 Tbsp mixture and pour into a spray bottle with about 2 cups of water and a couple drops of a natural liquid soap (helps it stick). 4. Spray the plants including the underside of the leaves. Reapply after a hard rain. Now, I don’t worry to much about measuring exactly, and I just do a quick spray all over (I’m sure I miss parts of the plant) but this has really helped keep the nasty little worms away from my beans and other plants. I’ve used it every year with great results. 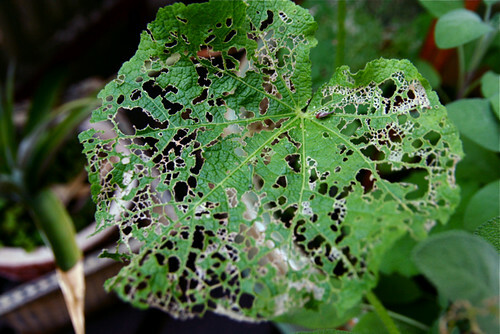 Do you have any tricks to keeping your plants bug free? This year, while it’s been very warm and dry, has been a fantastic year for my garden. I took last year off from gardening, except for a few volunteer tomatoes that popped up, but the years before that I always seemed to be fighting off bugs and disease. And this year? I have had to water at least every other day, which in past years I’ve only done once a week or so, and not all of my seeds have come up, but I’m hopeful that this year will be a banner year. In my first raised bed I have amish paste tomatoes, lemon basil, parsley, banana peppers, and anaheim peppers along with a few marigolds to help keep out animals. Both of the tomatoes are volunteer self seedlings from my crop last year, so I’m kind of guessing at what type they are – I’ll only know for sure when they begin to bear fruit. My second raised bed, also with drip irrigation, contains the same tomatoes, jalapeno, chives (two purchased, one transplanted from my mom’s garden), and a few onion. The onions being one of the seeds that did not come up, with only about 10% breaking through the soil. As you can see, I’ve started to put up chicken wire around the raised beds so that I can let my chickens out to free range in the yard, but I happened to run out about halfway through. The third bed has lettuce, black turtle beans, four stalks of corn (most seeds did not sprout – I’m not holding my breath on these producing…..) and marigolds, all from seed. This bed is a lot of fun as my children are allowed to snack on the lettuce anytime they wish. They won’t eat salads, but they sure will eat a bowlfulls worth when they go out to play! Inside my garden I’m trying out a few new things this year, one of which is allowing the cucumbers to grow up the fence as well as the tomato plants. In this area I have broccoli (the first year I’ve ever had nice broccoli plants!) in front and the cucumber behind. And of course my feathery girls looking on. Further down the row I have four tomato plants, the only ones I grew from seed indoors, basil, asparagus, and a small blueberry bush. And a pot of mint. In the middle I have bell peppers, chives, a trellis with peas growing up one side and cucumbers on the other, a giant oregano bush, and a butterfly bush at the very back. And of course a volunteer tomato that popped up right in front of the peppers. And one that is doing insane;y well off to the side – it was just to big to pull it up so I let it grow. Pretty sure it’s a cherry tomato. On the south side of the garden I have peas growing up the east fence (not shown) a bit of cilantro, five volunteer tomato plants with marigolds and cinnamon basil interspersed between them. The second row we have eggplant, transplanted strawberries (my chickens ate my plants last year) and green beans and radishes. Sage at the end of both, one purple, one green. We then have cabbage, dill, beets, cauliflower, and more dill in the row on the right and zucchini and butternut squash to the left. And to finish it off we have four pumpkin plants (3 for baking, one for carving) a watermelon (which is now much bigger only two days later, and a couple of honeydew melon plants. The only “problem” I’ve been having this year is the rogue tomato plants that pop up all over, these heirloom plants self seed very well! Are you gardening this year? What are you growing? If children are in the room, you may want them to divert their eyes, because what you are about to see is the mating ritual of the zucchini plant! 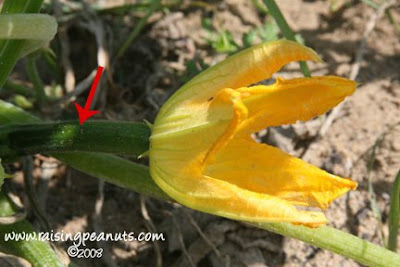 I’ve had issues with my zucchini plant not producing enough vegetables, although it blooms over and over again. After some quick searching I found that sometimes the bees don’t do their job quite right and the blooms are actually not being pollinated. Makes sense. My strawberries don’t pollinate well either. It might be time to look into keeping bees. 1. First find the male flower. It will be a bloom with a normal stem. 2. Find the female flower. 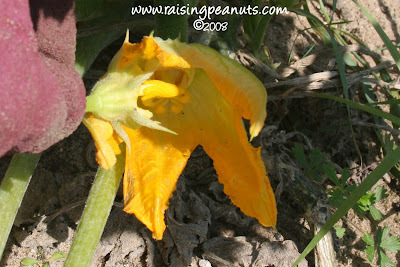 It will be the bloom with what looks like a tiny zucchini on it. 4. 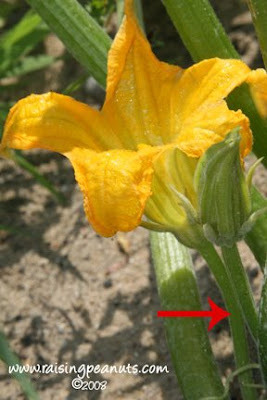 Take the exposed male bloom and hand pollinate the female bloom. 5. Wait for the new zucchini to grow! And grow they will. I’ve had to do this multiple times the last couple weeks and it works amazingly well. Funny that I have to pollinate my own plants when everyone else seems to have excess every year. Plantain, a “weed” that grows in most of our yards, coupled with apple cider vinegar can make for a long-lasting skin remedy. Plantain has many medicinal uses and you can often times find it in skin salves at the health food stores. The easiest way to use plantain is to pick it from the yard, chew it up, and use the plant to place on bee stings and bug bites – it will help to pull out the toxins and lessen the pain and itch. If you’re foraging, there are two types of plantain, english (the thin leaves like I have in my yard) and common plantain, one with a much broader leaf. But what if you don’t have any in your yard? (like the guy from True Green would like to see our yard….void of plantain) Or what if you’re going to be camping or traveling and you don’t want to run around looking for a weed while your friend or loved one sits painfully waiting? And a tincture can also be used throughout the winter, when your plantain sits under many inches of snow and ice. Making a tincture is one of the best ways to always have a herb on hand when you need it. And with just two ingredients, plantain and apple cider vinegar, it’s simple to make and both ingredients help heal the skin. 1. 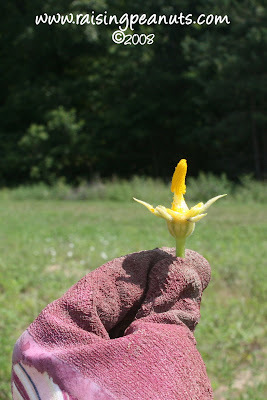 If you are using fresh, wild plantain it’s best to pick before they send up the seed heads, but anytime will work. And you can also use the seed heads in the tincture. Use plantain from areas where you know that not pesticides have been used and wash it lightly….just in case a dog used it as it’s bathroom. 2. With fresh plantain, you’ll want to bruise the leaves a bit. So either roll them between your hands, use a mortar and pestle, or even just chop them up a few times with a knife. With dried plantain, you don’t have to worry about it. 3. Fill a jar approximately 2/3 full of fresh plantain or about 1/2 full of dried plantain and cover with apple cider vinegar. With skin preparations I don’t feel the need to weigh and measure the herbs…..but do what you’re comfortable with. 4. Cover and put the jar in a cool, dark place. Pull it out once a day or two and shake it. Have you ever made or used a plantain tincture before? The recent warmer winter weather has created a perfect storm for the increase in Lyme disease in Michigan this year, and Yahoo news recently confirmed my concern. Ticks and tick bites are becoming more of an issue, even in urban areas in Michigan. This spring for the first time one of my kids got a tick bite right in our backyard….. in town. This was the first tick I have ever seen for myself in Michigan, and it motivated me to start looking into the prevention of Lyme disease, as well as its cure! Here are some of the protocols for prevention that I have discovered. If you know that you or the kids are going to be playing in woods or overgrown grasses, wear long pants, socks, and shoes. Ticks hang out in brush and long grass, waiting for a host to come walking through, then climb or drop onto a person or animal in hopes of finding a meal. When you or the kids come in from spending time in nature, check for ticks underneath clothing on the skin- try to catch them before they bite. 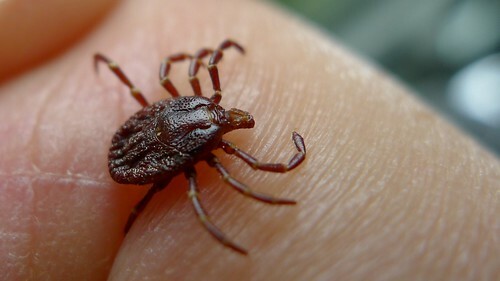 If a bite does occur, save the tick and tape it to a piece of paper, or seal it in a Ziploc bag and place in the freezer. If symptoms of illness begin, it is much easier to test the tick for Lyme than it is to get a positive Lyme diagnosis for a person, since blood tests often have up to a 50% false negative rate. the oil into the water, if desired). For a preventative repellant, use a water bottle that has never been used for anything but water, and add 5 pellets of Ledum Palustre and 5 pellets of Hypericum Perforatum, homeopathic remedies, (30C potency or 200C potency, just be sure they are both the same potency) and shake to dissolve. Spray skin and clothing as a repellant. Direct application of an essential oil (Cedar, Lavender, Oregano, and Thieves) to a tick bite, even while the tick is attached, may cause the tick to disengage, and will flood the bite with antimicrobial properties immediately, hopefully killing any bacteria at the site of the bite within minutes of the tick’s removal. I carry a couple essential oils in my natural first aid kit so that I can treat bites immediately when they happen. You can use essential oils and homeopathy both, but not within a close time frame. I personally like to use essential oil first, and then follow up the next day with the homeopathic protocol. And of course, always call your health care provider for help and information. Dara Weaver is a Certified Nutritionist and amateur herbalist who lives with her family in West Michigan. They were diagnosed with Lyme disease in 2010 and have recently started a natural herbal product company at Elysium Naturals, offering natural first aid kits as well as tinctures and oils. Are you taking precautions to avoid tick bites this year?